Most adults have to take on a lifetime of debt and save up for years to buy a house. But homeowner Tyler Ford,now 9 will have no such worries due to his success in the kickboxingworld. Tyleris not only a multiple British and European champion but is also about to become a big screen star after catching the attention of Hollywood bigwigs. 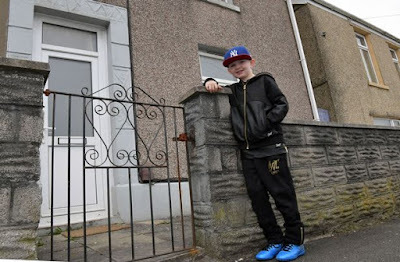 Tyler has been fighting since 2015 after giving up a promising career in football and such has been his level of success, he was able to purchase his first property – aged just eight. He recently became the youngest person ever to be inducted into the Martial Arts Hall of fame and has yet to lose any fights thus far in his career, having recently won the Dutch and German Open competitions. Tyler, of Groves end, near Swansea, is also a multiple gold medallist at the World Martial Arts games, Wales Online reports. “When he was smaller all he wanted to do was boxing as I was a world champion myself,” said Tyler’s dad Anthony Ford. “Tyler is incredibly dedicated to fighting and being the best he can. 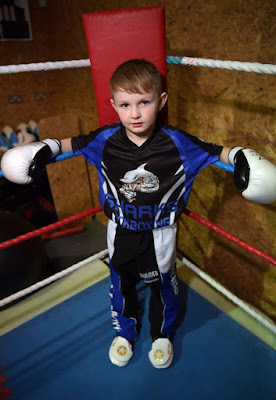 “Every morning before school he gets up at 6am and trains, all he thinks about is fighting. “He is a freak fighter and has beaten fighters a lot bigger than him. Such is Tyler’s prowess in the ring he recently became the youngest person ever to be inducted into the Martial Arts Hall of Fame and has picked up 64 gold medals in 2016 alone. His meteoric rise has now sparked interest of US film bosses. 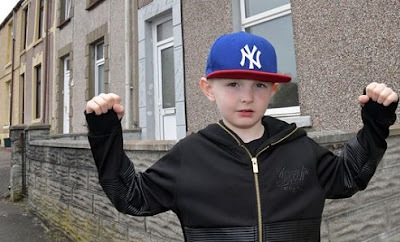 “I was at an event watching Tyler fight and American film director Tim Delmar, who has directed films such as Star Wars and Train Spotting, came up to me and asked me if I was his dad,” explained Mr Ford.and that he wanted to sign him up for his new movie straight away.